As you'll have probably guessed, I am a HUGE fan of Cath Kidston. Cath Kidston's beautiful florals adorn my curtains, my bed covers; even my walls. I am a sucker for a pretty floral print (can you tell by my blog layout!?) and Cath Kidston does it like no other. 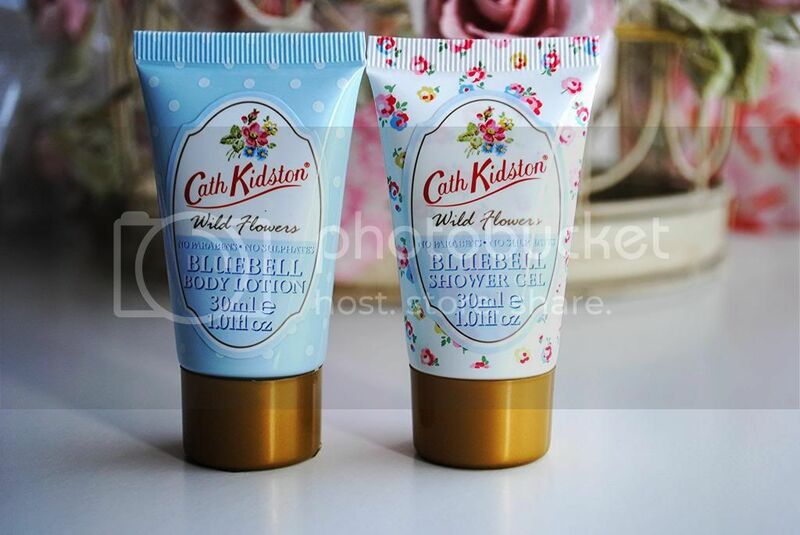 I am also a fan of pretty toiletries and body lotions - and always have to check out Cath Kidston's selection whenever I'm near a store. I was lucky enough to receive the Cath Kidston Wild Flowers Mini Starter Set for Christmas from my lovely boyfriend. 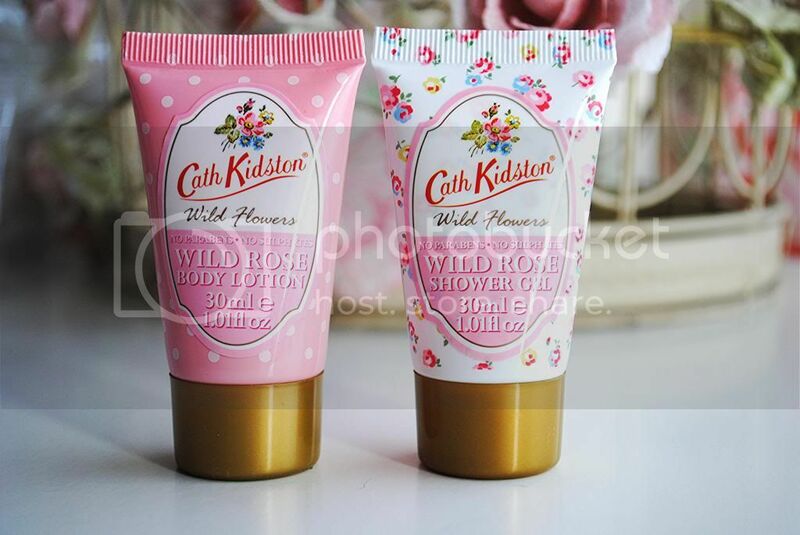 I've only ever tried the Wild Rose scented Cath Kidston products before (if I'm honest, I bought them purely to sit on my dressing table looking pretty) and they smell completely and utterly amazing. Rose is my favourite scent in the world, and both the shower gel and the body lotion have the super sweet, yet beautifully soft scent of wild roses. I could literally smother myself in this stuff head-to-toe, it smells so gorgeous. The Honeysuckle and Bluebell scents are also completely gorgeous, sweet and floral and basically everything I love - slightly less sickly-sweet than Rose, and a tad 'fresher' smelling, if that makes sense. I have to say Rose knocks their socks of though, for me personally anyway. I just can't get enough of the stuff. 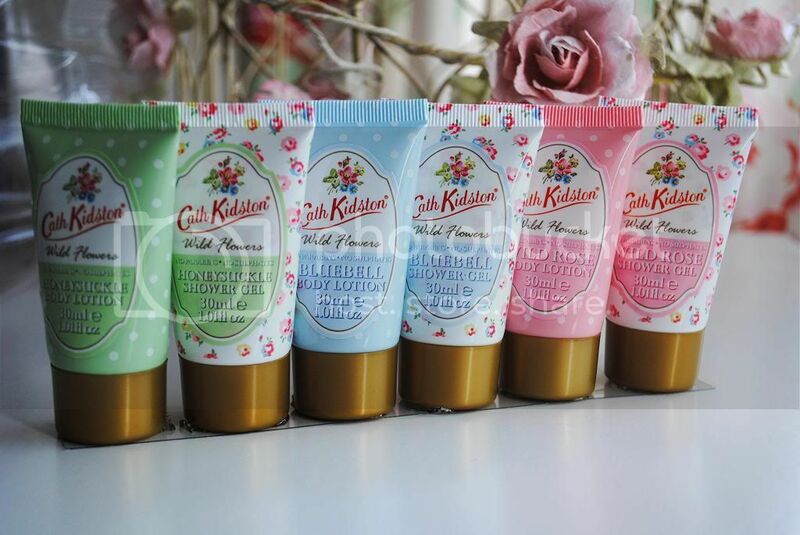 I completely adore these cute little tubes of Cath Kidston goodness. The shower gels and body lotions both smell stunning, and the body lotions leave my skin feeling super soft and supple. The only thing I dislike about these beauties is the price - like everything Cath Kidston, they're not the cheapest. They're not ridiculously expensive either - this set of six products comes in at a tenner, although they're only 30ml minis - good for travelling! I'm not entirely sure if you can buy these products separately or if they just come in giftsets, but I know you can get the hand cream for £8 - next on my wishlist! 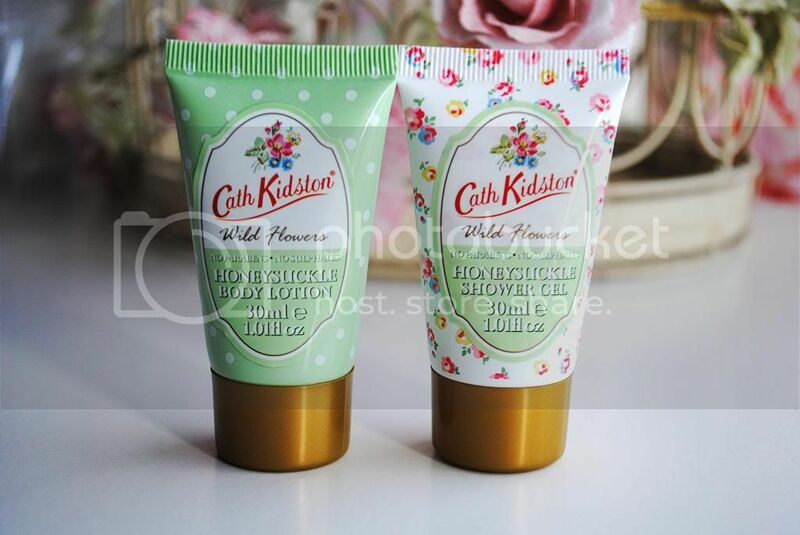 Have you tried Cath Kidston toiletries before? What did you think?